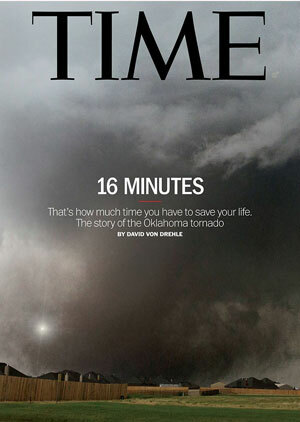 Tornado Time: What To Do? Your safe room should be in a basement. If a basement is unavailable, use a windowless interior room, the closer to the center of the building, the better. If you live in a mobile home, go to a place that will afford better protection. Mobile homes are not built to withstand the force generated by a small tornado. * heavy-duty shoes or boots. When conditions are ripe for tornado development, the weather service will issue a “tornado watch.” A watch does not mean that a tornado has been spotted, but rather that a tornado can develop. If a watch is issued for your area, be aware of certain conditions that may signal tornado development, such as a darkening sky with a greenish tint, or hail. Tornadoes can form rapidly, so if you notice any of these events, seek shelter at once. “Tornado warnings” are issued when a tornado has been spotted or indicated by radar. When a warning is issued for your area, make your way to your predetermined location immediately. Since a warning means that a tornado has already been sighted, you may not have much time. You will not always be near your safe room when severe weather strikes, and some places do not provide the necessary level of protection from a tornado. Places that do not provide adequate protection include not only mobile homes but structures with wide roofs, such as shopping malls, auditoriums, cafeterias, and warehouses. If you happen to work in or are visiting a structure with a wide roof when severe weather strikes, go to a stronger structure, such as a stairway in a parking garage. Should there not be a stronger structure close by, then look for a drainage culvert, or get under a heavy piece of furniture, such as a desk or a workbench. A car is not a safe place in which to ride out a tornado. With its high winds, a tornado can pick up and toss vehicles. Should you find yourself in a car or another vehicle when a tornado strikes, seek shelter in a building or a strong structure. As a last resort, lie in a ditch away from vehicles, making sure to cover your head and neck with your arms. Wait until the tornado has passed to help injured or trapped persons. If people are severely injured, move them only if they are in immediate danger, to avoid causing further injury. Use your telephone only for emergency calls. Telephone lines and cell phone towers may be down, causing the remaining circuits to become jammed. Lots of people call after an emergency. The fewer people tying up the circuits the better. If the structure you are in is damaged, then get out. Be careful not to touch any electrical wires: They may still have currents running through them. Check to make sure the gas line coming into the house is connected and not leaking. If you smell gas, alert other people and get away. If possible, and if you know how, turn off the gas at the main valve. Remember, it may take some time for emergency workers to reach you. While your area may not look too damaged, downed trees and power lines may be blocking the roads leading to you. Having an emergency preparedness kit is strongly recommended. Tell all your friends to prepare for this because this can save life. It has to include flashlight, extra batteries, battery-operated radio and food. 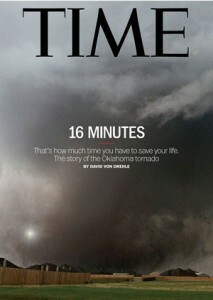 Tornado can hit us anytime and it is a sad fact we cannot do anything about. My kids and I actually talked about it. We wish it will not happen to us but in case it does, it will be very difficult for us because we are all girls in the family. We are thinking of uncluttering our basement so it can be our safe place during tornado. What to do during tornado is actually something I have not given much thought about. I will have this discussed with my spouse and kids the soonest that I can. I want to designate a place at home where we can safely gather together in case tornado hits our town.